Archipelago Cinema, a floating auditorium designed by architect Ole Scheeren, will form part of the official selection of collateral projects in the 13th International Architecture Exhibition. 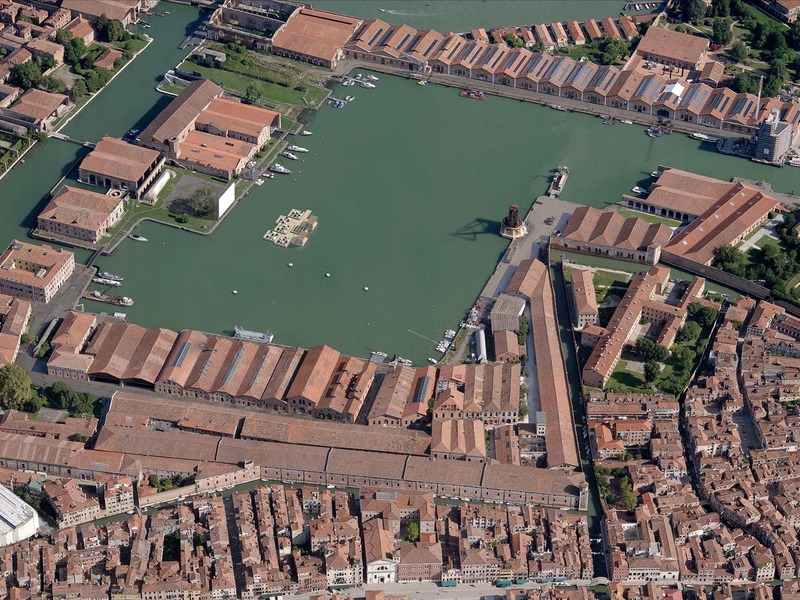 An evocative outdoor theatre located within the old harbour basin Darsena Grande of the Arsenale, Venice’s historic shipyard, the modular raft will act as a mobile stage for public events, including the world premiere of the film Against All Rules. Against All Rules, a documentary essay produced by acclaimed filmmaker and architecture specialist Horst Brandenburg, presents profound insight into the work and philosophy of German-born and Beijing-based architect Ole Scheeren. Spanning a period of more than six years, the film follows the breathtaking construction of one of the most iconic buildings of recent times, the CCTV Headquarters in Beijing and the role of its lead architect Ole Scheeren – an unparalleled adventure in the world of architecture and construction. The film ventures further to reveal the architect’s life and work beyond creating one of the largest buildings ever built. A wide range of other ground-breaking projects in Beijing, Bangkok, Singapore and Kuala Lumpur represent new prototypes in response to the complexity and growing challenges of a global and dramatically shifting world. As Horst Brandenburg states: “Ole Scheeren has come to stand for what architects have to fulfill beyond primary function: a promise, an aim, a dream, or a vision of the future at the beginning of the 21st century”. Following the Venice premiere, Archipelago Cinema is set to embark on a journey around the globe, providing an itinerant platform for architectural discourse and film screenings, while Against All Rules will further feature at a series of international film festivals.